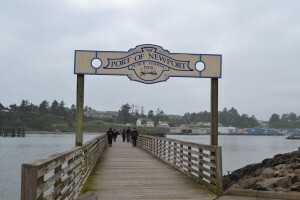 Historic Newport, on the central Oregon Coast, is a small town of just over 10,000 people. It stretches along the coast between two historic lighthouses: Yaquina Head Lighthouse at the north and Yaquina Bay Lighthouse at the south end of town. It is one of the older towns in Oregon establishing a post office in 1868. The establishment of Newport owes a great deal to the oyster. In 1852, the schooner “Juliet” was driven aground by storms. 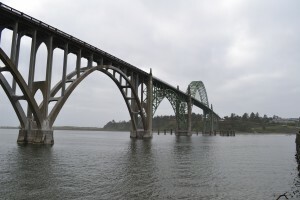 The captain and crew spent two months in the Yaquina Bay area. They were the first to spread the word about the plentiful oysters in Yaquina Bay. By 1863, two companies were shipping oysters from the bay. Today oysters are farmed in Yaquina Bay and shipped worldwide. Lincoln County Historical Society was formed in 1948 to preserve the history of the area. The group cares for two historic buildings, Burrows House Museum is a Queen-Anne style house built in 1895, and the Log Cabin Museum which displays the Society’s collection of over 40,000 artifacts either made of used in the county between 1850, and the present. The Oregon Coast Aquarium in Newport is more than just an aquarium. It has over 5,000 marine animals, but is also home to birds, California Sea Lions, Harbor Seals, and Sea Otters. Exhibits at the Oregon Coast Aquarium are known internationally for their quality. The Aquarium plays an active role in conservation and animal rehabilitation efforts. Currently it has some unusual guests. First a green sea turtle was found on Moolack Beach suffering from hypothermia. No one knows why it came to visit the Oregon Coast from its tropical home, but the waters off Oregon’s coast were not kind to it. The turtle’s body temperature had dropped to 58 degrees down from its normal of 72 to 82 degrees. Next, evidence indicates that a pair of snowy plovers became lunch for a fox. Monitors from the aquarium rescued the three eggs left in their nest in the Bandon State Natural Area. The first eggs was already hatching, a second hatched in the trip to the aquarium and the third a few hours later. If you visit the Hatfield Marine Science Center you will be greeted by the current octopus in residence. Explore the four tidepool tanks, which house sea anemone, sea urchins, skates, and sea stars. Visitors are encouraged to reach in and touch the living marine organisms! The historic bay front is an eclectic group of businesses. There are gift shops and art galleries, Ripley’s Believe It Or Not, and Wax Works Museum. As you walk along the bay, you may see sea lions in the water and sometimes up on the boardwalk with you. 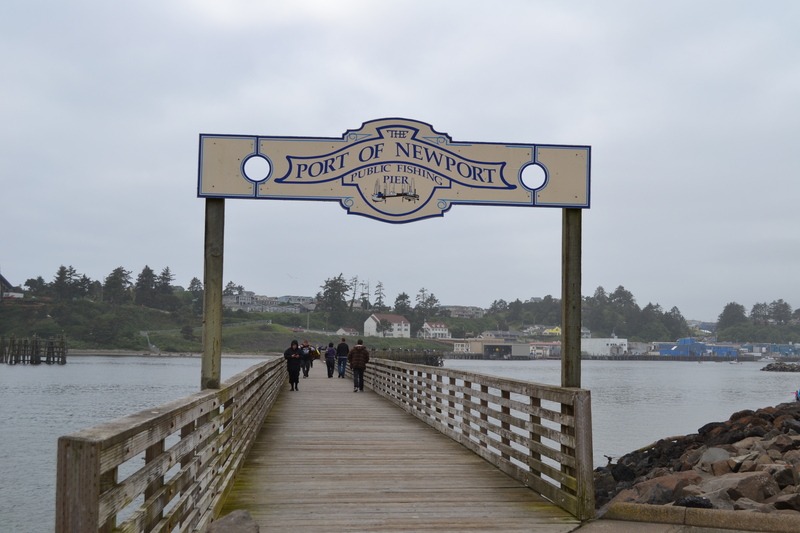 Newport is home to Oregon’s largest fishing fleet. You can go deep sea fishing of take a whale watching trip. No visit to Newport can be complete without stopping at the original Mo’s for a bowl of clam chowder. For more information about the city of Newport, Oregon check out these additional resources.